Fall in love with this sectional as you lounge in its cozy loose back and seat box cushions and stretch out on its chaise perfect for a nap. Exposed wood legs, track arms, and welting detail give this piece a crisp modern look. Customize this piece as you choose the fabric color, welt color, pillow fabric, and finish on the wood legs. You will truly have a one of a kind piece in your home with this sectional. Accent your home with this contemporary sectional sofa. 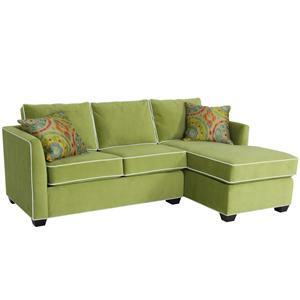 This piece is made with loose back cushions and cozy boxed seat cushions, so you can comfortably lounge for hours. Straight track arms and short, dark legs add a touch of crisp, modern style. 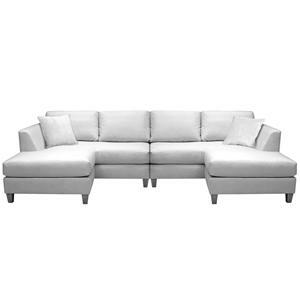 This piece includes a unique angled chaise on the left side, adding more seating space. 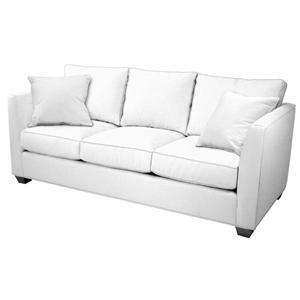 Available in multiple fabrics, this sofa will fit with your existing decor. You will be able to make your living your own with help from this stationary sofa. The piece is available in over 1000 different fabric, welt, and pillow combinations so that you can create the custom design for you. 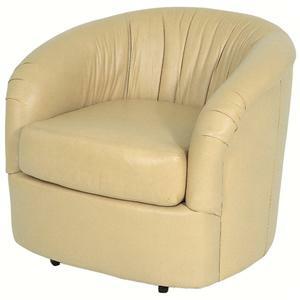 In addition, the classic box border tailoring and soft, inviting seat and back cushions highlight this popular design. Make your living room complete with this loose back sofa. This sofa offers a contemporary design to any home. Available in over 1,000 upholstery options this sofa can be styled to match your personality and lifestyle. 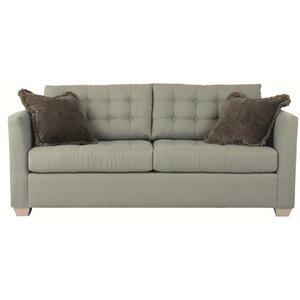 The soft button-tufted back and seat paired with simple track arms and tapered block legs create a modern atmosphere. Accent your home with this contemporary sofa. 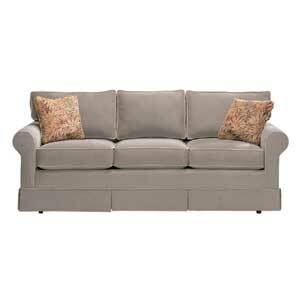 This piece is made with loose back cushions and cozy boxed seat cushions, so you can comfortably lounge for hours. Slightly sloping track arms and exposed dark wood legs add a touch of crisp, modern style. 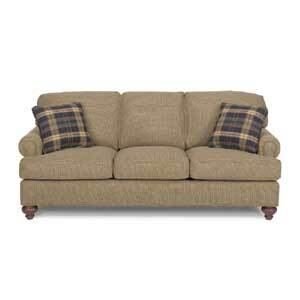 Available in multiple fabrics, this sofa will fit with your existing decor. A mix of Scandinavian, retro, and 60's vibe, this chair and ottoman set offers a hodgepodge of elements that create a distinctly contemporary look. 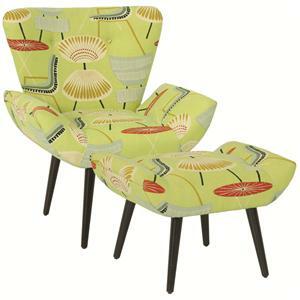 The space saving design of this chair and ottoman make it perfect for an apartment or small room. Tall slender splayed legs and wing arms with tufted back give it a unique spin on other modern pieces. Choose your fabric color and leg finish for a one of a kind look in your home. Available in over a thousand custom combinations, the Upholstered Sofa can be created to fit your personal designing needs. 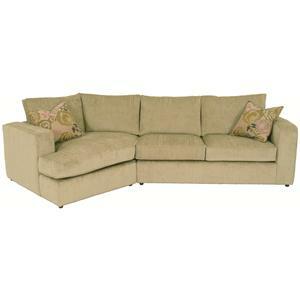 Made to match anything in your home, the Upholstered Sofa has plush seating with rolled arms and the rest is up to you. Create your own Upholstered Ottoman at Norwalk Furniture Online and search for 2097. Relax in style with this modern Omni swivel chair. A barrel design with pleats make it just the chair to fall back in after a long day. A smaller scale makes this chair perfect for apartment living or a smaller room. The swivel feature makes for functionality and ease of motion. Create the perfect chair for your home by picking the leather or fabric color of this chair for a truly custom look. Cuddle up on this contemporary sectional for the best seat in the house. 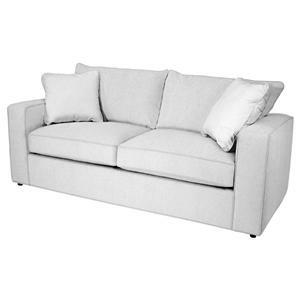 Tapered block feet and crisp tailoring all make this piece the perfect modern addition to your home. Add the ottoman/bumper for a four person chaise, the perfect seating for any media room. Customize your sectional by choosing the fabric color, pillow color, and foot finish. You will never want to get up from this plush sectional. You want upholstered furniture that reflects your own unique taste and style. When you choose Norwalk, you open a door to unlimited possibilities, starting with a choice of 500+ styles and 850+ covers in fabric and leather.